Representing Sydney, Papertoy’s sound is a product of his love for hip hop and electronic music. Working tirelessly to produce high quality music, Papertoy has released music via DIE HIGH, Future Sounds and Moose records and a plethora of bootleg remixes. 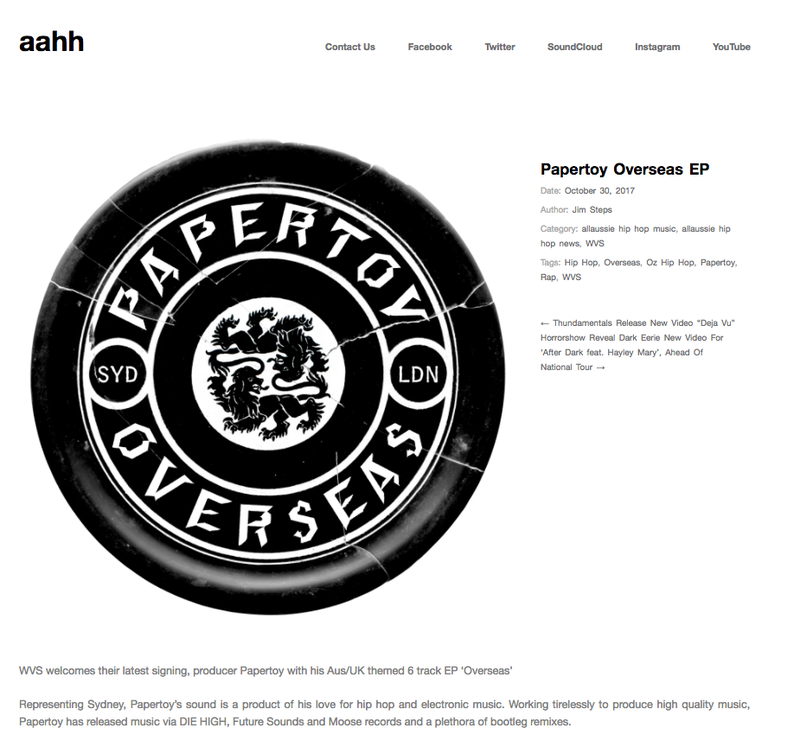 ‘Overseas’ was written and recorded in London and features collaborations with Frenzy, Armzout, Careless, Aj Young Soul, AMG, Isaac Danquah and Airborn Gav. Late night studio sessions, live shows and immersing himself into London’s culture directed the sound of the project which showcases the diversity of the artists in the UK scene. 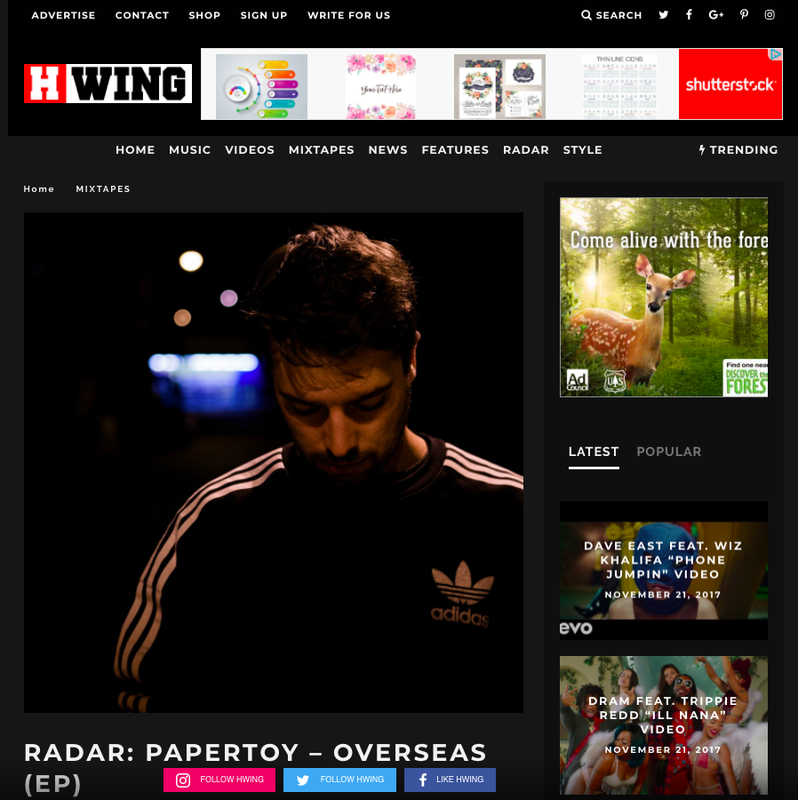 The collection of tracks highlights Papertoy’s production style whilst merging it with each individual artist, giving them space to shine and capturing the sound of his time overseas. Papertoy production credits run deep winning the Danny Brown “Grown Up” remix competition, runner up in Hermitude’s “Speak of the Devil” and Stwo’s “Eden” remix competitions, previous EP with Cleveland rapper Atari Jones and producing for a number of Australian and UK rappers. Having already had a production placement on Sydney hip hop group The Thundamentals album (Noodle Soup), there is much more in store for this producer.